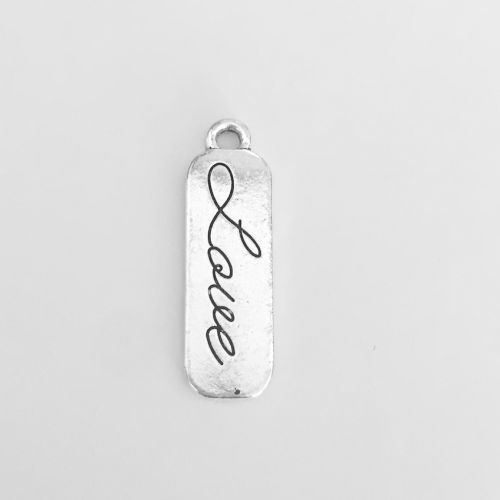 Pure Love, the unwavering kind. 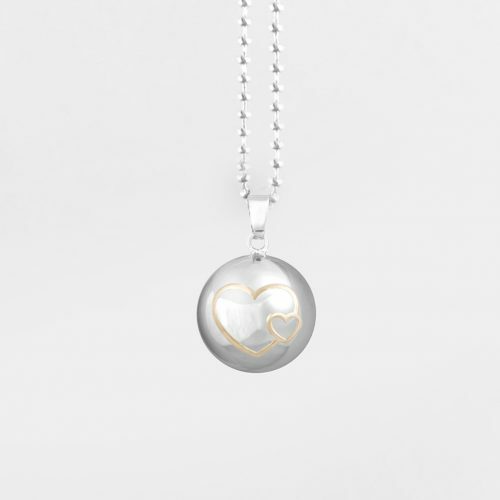 Given without expectation, with constant adoration. 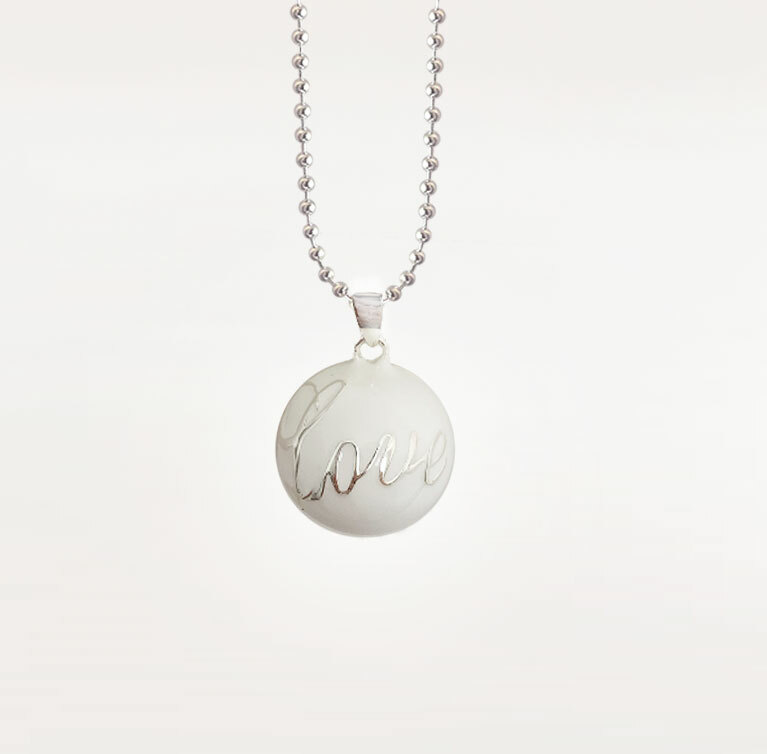 Finished in satin gloss white, our Pure Love Harmony Ball features beautiful, modern lettering of the word ‘Love’. 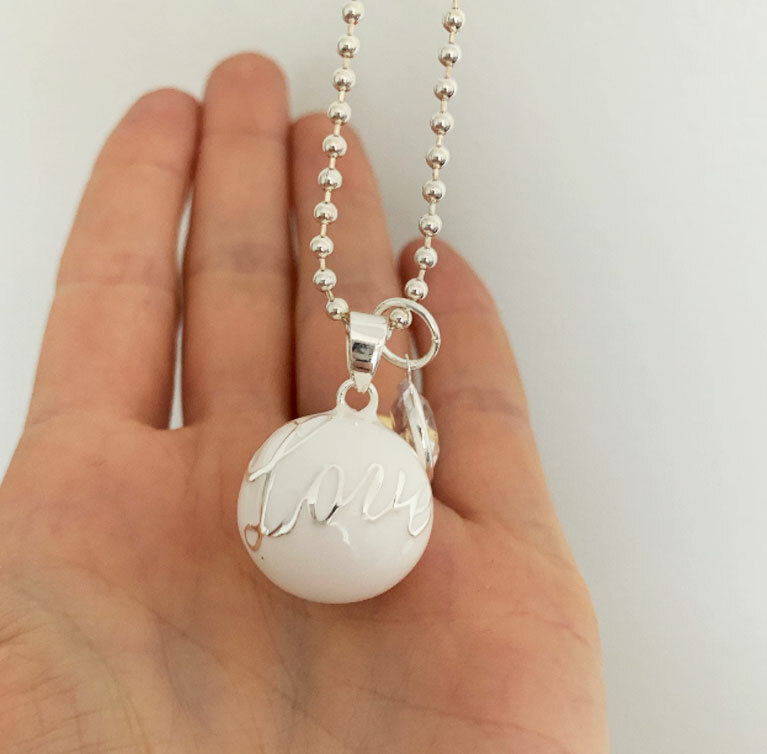 A modern, trending pregnancy accessory that will help create a special connection with baby, and add a new dimension to your pregnancy style and wardrobe. 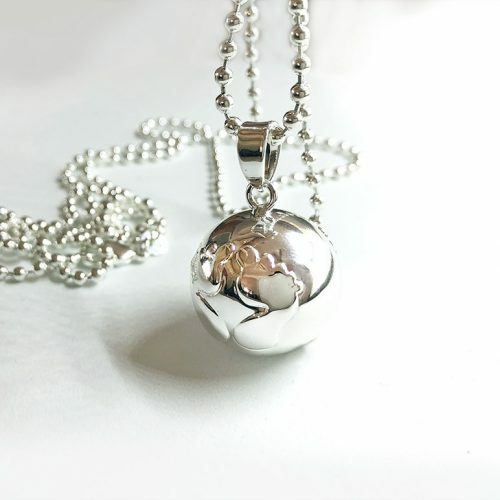 Our Pure Love harmony ball pendant comes on a 925 Sterling Silver Necklace, that’s been lovingly plated in White Gold. 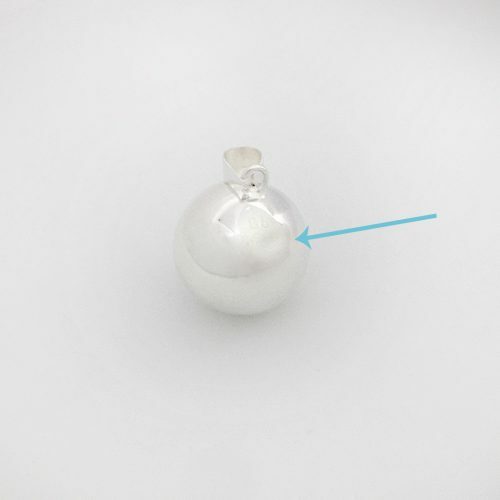 It will sit comfortably on your bump where it will be heard and enjoyed by your baby.